Clogged drains are the most typical plumbing problem that people have with their pipes, while drain cleaners are the most common solution used to fix this issue. Unfortunately, drain cleaners can do more harm than good since they can erode cast-iron pipes. Besides erosion, they don’t always get rid of the whole clog which leads to a temporary fix that will result in the same problem time and time again. The more you try to use drain cleaner the more erosion your pipes suffer which will eventually lead to a leak and an expensive plumbing visit. Instead of damaging the pipes, you can pay a plumber to snake the drain and completely remove the block. Avoid clogs by keeping food scraps, hair and other solids out of the drains present throughout the home. A screen over individual drains and pulling out hair every few weeks can prevent the buildup of clogs and keep your pipes healthy. Finally, don’t throw grease down the drain. Grease is only a liquid when it is heated, as it cools down it will become a solid that is hard to remove from pipes. Let it cool and dispose of it in the trash or a separate container instead. The presence of a clog in your pipes leads to increased pressure from backed up water which will stress and weaken the pipes prompting a faster replacement. To prevent this excess pressure damaging your pipes, use a gauge to test just how strongly water is pumped out. If you get a reading above 85 psi then you need to contact a plumber to install a pressure reducer. If you get a reading below 40 your pipe is underperforming and will need an adjustment. If worst comes to worst, Boston Drain Company is available 24/7/365 to fix your drain and clog emergency in the Greater Boston Area. 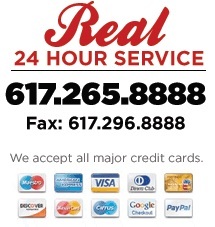 Contact us online if you’re looking for a quote, or call anytime at 617-265-8888!